Randolph College announced plans this week for a major renovation of its Randolph Athletics and Dance (RAD) Center. The nearly $3 million renovation will significantly enhance both the exterior and interior of the building in terms of aesthetics and usability. In addition to major changes to the building’s exterior, improvements made inside will include upgrades to the gymnasium, locker rooms, athletic training spaces, and an expansion of the pool. College officials plan to start the renovations during the spring of 2019. The bulk of the renovation will be funded by two leadership gifts — from an emerita trustee and an anonymous donor. Doug and Mary Michels Scovanner ’77 will provide a $1 million gift to rename the facility the Michels Athletic Center, to be known as the MAC. “We are grateful to the Scovanners and the anonymous donor who together are making these changes possible,” said Bradley W. Bateman, president. Mary Michels Scovanner was a student-athlete during her time at Randolph-Macon Woman’s College, playing field hockey and lacrosse. She and her husband have been major contributors to student life in recent years. Among their contributions was funding for Michels Plaza during the Student Center renovation. Finished in 1962, RAD was formally known as the Physical Education and Recreation (PER) Building. Smaller updates were completed in 1993 and 2000. 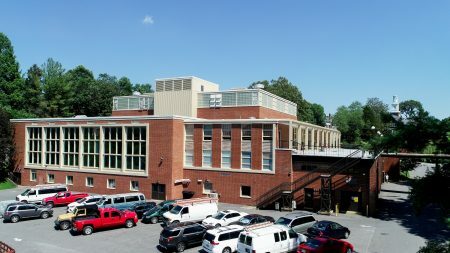 The building is the home to the Randolph WildCats and includes a basketball court, five-lane pool, weight and fitness center, dance facilities, aerobics room, athletic training facilities, locker rooms, team rooms, as well as athletic and administrative support offices.